Avengers at Ali Baba's: L to R: Dave Brown, Hank Davis, Eddie McDonald and Clive Cockburn. 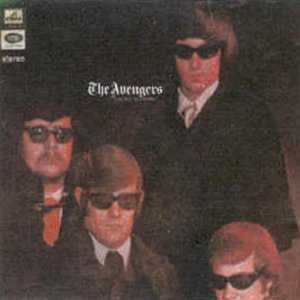 Formed in 1966 in Wellington, this Avengers should not be confused with the band of the same name, in which Ray Woolf was a member. His group was formed around the same time, and became known as Ray Woolf and the Avengers, hailing out of Auckland. The Wellington Avengers were put together by promoter Ken Cooper, who was looking for a band to play at his new night club, The Place. They debuted there in June 1966 and their early repertoire was mainly covers of Beatles songs and other British groups, but as time went on they closely followed the likes of Cream and Traffic. Ken Cooper, himself an ex-member of the Swamp Dwellers, brought together the four talented young musicians from a number of Wellington groups. Clive Cockburn was from the Mustangs, Dave Brown was from the Wanderers, Ian "Hank" Davis was from Napier band the Epics, and Dave Diver from the Countdowns. Before they even got started, Dave Diver decided to move back to Christchurch, so Ken brought in Eddie McDonald from the Strangers. 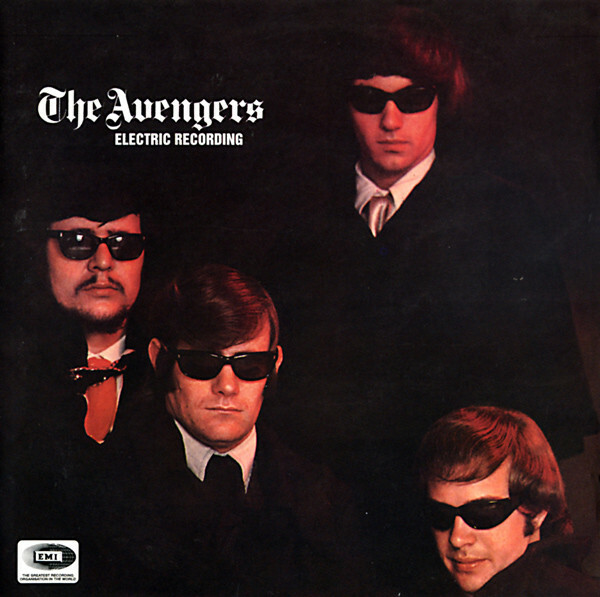 The Avengers were in the studio preparing for their debut when they were asked to provide backing for another recording artist Val Murphy. They did this and her single, "Lovers Of The World Unite"/"There's A Scarlet River Running" was released under the name Valeria Vengers. 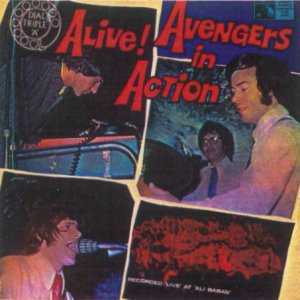 The Avengers became very popular in Wellington during their first year and their debut single, "Everyone's Gonna Wonder"/"Take My Hand" got to number 7 on the NZ Hit Parade in September 1967. Close behind this was "Only Once In My Life"/"Waterpipe" which reached number 10 in January 1968. The hits kept coming with "1941"/"What Price Love" peaking at number 6 in May 1968, but it was their classic "Love Hate Revenge" b/w "Only Last Night" that they are best remembered by. 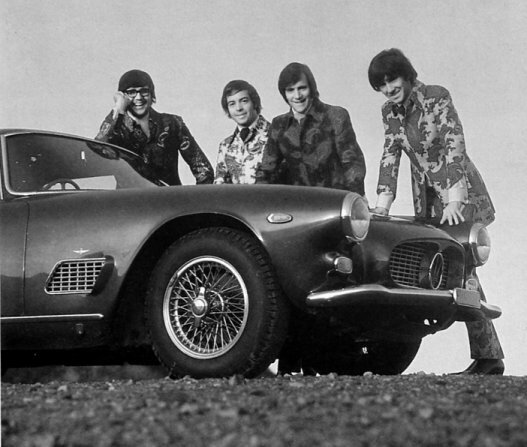 This was their biggest hit, making it to number 2 in August 1968. It was an obscure song from England's Episode Six. 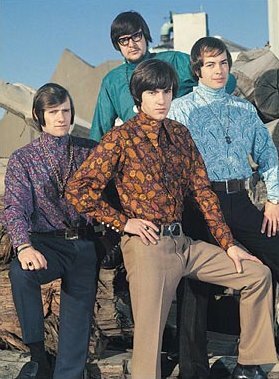 They only hit the charts once more with "Days Of Pearly Spencer"/"Daniel The Postman" in December of 1968, making it to number 4. Their first album was called "Electric Recording" and was released May 1968. When it was actually released, the Avengers were in Australia, building up a following and checking out the local Sydney scene. They returned in August 1968 and being one of the highest profile bands on the New Zealand scene, they were invited to open the new Ali Baba's club in Cuba Street, Wellington, in October. The occasion was captured on a live album called "Dial Triple A, Alive! Avengers in Action". 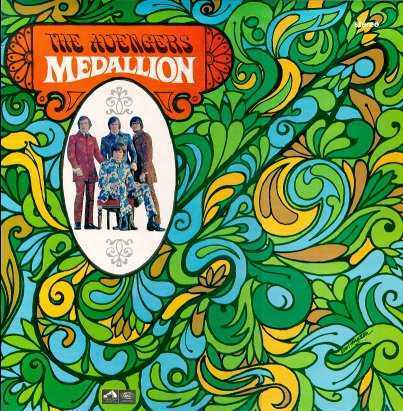 The "Love Hate Revenge" song was a finalist for the 1968 Loxene Gold Disc Awards and also the lead-off track of their second studio album called "Medallion". Another song from the album, "Out Of Sight Out Of Mind" won the 1969 APRA Silver Scroll for composer Dave Jordan. With the experiences of New Zealand behind them they ventured back to Australia in early 1969 for a more serious assault. This time they were known as the New Zealand Avengers, to avoid confusion with a Brisbane group of the same name. They played a number of gigs around Australia, but didn't achieve the same level of success they had enjoyed in New Zealand. For a very short time. while Dave Brown was hospitalised for a hernia operation, Melbourne-based guitarist John Pugh, from the James Taylor Move, came in to the group as a temporary replacement. In July 1969 they called it a day, with Dave and Clive returning home, while Hank and Eddie headed to Perth to play in the underground band Bakery. In 2001 EMI released a CD called "Electric Recording" which included all the songs from their two studio albums, except "Love Is Blue", along with their singles and one song from the Live album.